Anil Kurian currently co-leads RSM’s financial services practice in Connecticut and Westchester, which entails growing RSM’s brand awareness, clients and services in the hedge fund and private equity community. 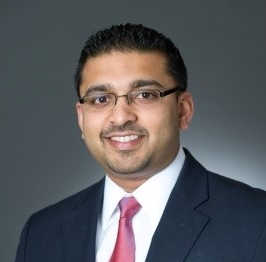 Prior to joining RSM’s financial services group, Anil’s roles have included working as a manager in the financial services office at Ernst & Young, as an assistant vice president in the private equity group at JPMorgan, and as a controller for Roundtable Investment Partners. In addition to his current role, Anil uses his industry experience and technical knowledge to assist investment managers and engagement teams in complex accounting and auditing matters along with ensuring that reports issued by the firm comply with professional standards. Over the past 15 years, Anil has had the opportunity to work with global asset managers, local family offices and emerging managers, and his experience has given him exposure to investment companies including onshore and offshore hedge funds, private equity funds, SBICs, broker-dealers, mutual funds, exchange traded funds, fund of funds, and other investment partnership vehicles, as well as complex instruments and derivatives. RSM is proud to serve more than 2,000 investment funds and more than 4,000 financial services clients nationally. Our thought leaders participate on industry committees, deliver presentations, and provide education through webinars and surveys. RSM’s team maintains substantial experience in the financial services industry, allowing them not only to understand the industry’s accounting implications but also the industry’s business issues.